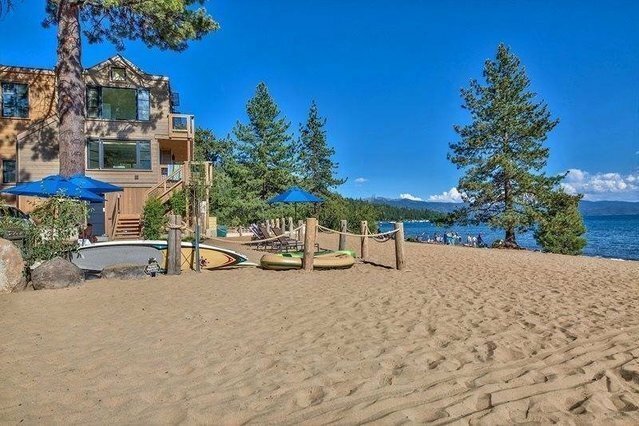 Mountain modern, Tahoe urban living, right on an enormous white sand beach, in the heart of town, & all of the major ski areas a short drive away! Built in 2016, this beautiful lakefront project has all of the essentials for a true Tahoe getaway. Steps from your front door is a private lakefront lounge, SUP storage, BBQ, and some of the best views Tahoe has to offer. Redevelopment surrounds with Larry Ellison's Cal Neva Casino to the Kings Beach projects & new pier. Grossed around 70k last year in rentals!